Press Release posted 3/24/13 – The City of Sierra Madre Community Services Department and the Senior Community Commission are happy to announce that Joan Crow has been selected as the Older American of the Year for Sierra Madre. Joan Crow is a longtime resident of Sierra Madre and active member of the Sierra Madre Civic Club for more than 30 years serving as president from 1983-1984. In addition to her community support through Civic Club, Joan is a Eucharistic Minister at St. Rita’s Catholic Church and has served as the Chair for the St. Rita Women’s Retreat and St. Rita Feast Day. Joan is a faithful supporter of the Friends of the Library, Creative Arts Group, Sierra Madre Playhouse, and much, much more. Each year the President of the United States, the Governor of California and the Los Angeles County Board of Supervisors designate the month of May as Older American Month. 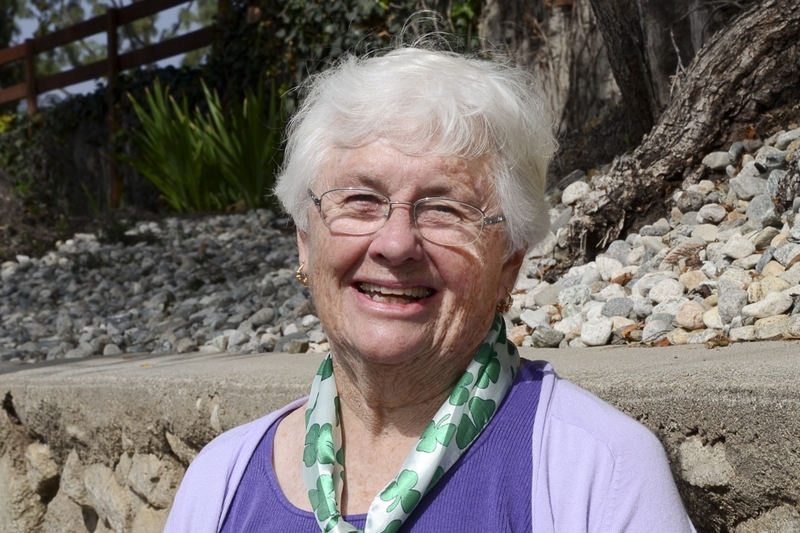 In recognition of Joan Crow’s dedicated volunteer service to the community, Sierra Madre will be honoring her at a local reception held at the Hart Park House Senior Center on Friday, May 10, 2013 from 4:30 p.m. to 6:00 p.m. Previous Honorees include: Jerry & Nan Carlton, Pat Alcorn, Fran Garbaccio, Ken Anhalt, Eph Konigsberg, Russ Anderson, George Throop, Loyal Camacho, John Grijalva, Joylouise Harte-Smith, James Heasley, Midge Morash, James Tyler, Isbella Paegal, Bonnie Garner, Rose Fafach, Ed Wellman, Celeste McCreary, Dorothy Tillquist, Doris Webster, Elsie Dammeyer, George Maurer, and Karl Teigler. For more information on the Older American Reception or on how you can assist with honoring Joan Crow, please contact the Senior Services Desk at 626-355-7394.